Looking for some great reads for your summer beach vacation or for slower summer days? I’ve got you covered! We also put together a FREE Summer Reading Printable Packet, complete with checklists and a challenge to help you plan and prioritize reading this summer! You can download it at the bottom of this post! Enjoy — and a big thanks to my team for helping me put this together! This book moved me, inspired me, and challenged me. And it made me want to spend more time in the kitchen and around the table. However, the phrase that stuck out to me most was: Present Not Perfect. Shauna shares how we can get so wrapped up in trying to make life perfect — to get all our ducks in a row and keep them that way — that we miss the present. We rush through life with our plans, our goals, and our lists. We check things off. We pat ourselves on the back for being a powerhouse of productivity. And we forget to breathe. To slow down. To soak up the moments. To savor the here and now. This book is the story of Kayla Aimee’s daughter being born as a micro-preemie and the pain and heartache and struggle that she walked through while fighting for her daughter’s life. Bob Goff is a unique, one-of-a-kind man. You’ll pick up on that just by reading the introduction. He loves life, he loves people, and he’s not afraid of outlandishness or extravagance when it comes to showing love to others. His big heart is contagious. Loving others isn’t just words we say; it’s the life we live. It’s giving of ourselves, it’s bringing joy to others, it’s being available to others, it’s dropping everything to be involved in others’ lives. It’s caring, it’s giving, and it’s sometimes doing crazy stuff, all because we love someone else. You might not agree with all of the finer points of Bob’s theology and you might think he’s a bit over-the-top, but I can almost guarantee you can’t help but be challenged to examine how you love others. I don’t quite know what to say about this book. At first, I was so frustrated by the ending. That’s it?!?! No! There has to be more! I couldn’t get the story out of my brain. What am I missing? Why is it haunting me? The more I pondered, the more it started to make sense to me and I actually started to love the book and the powerful way it reminds us that without pain and suffering, we can’t experience emotional connection or truly feel at a deep level. If we took all of the pain away from the world, it would also take away so much depth and the ability to experience life in full color. I wished I would have read this book with a book club because I would have loved to hear what other people thought of things as I went through it. And I totally understand why some people love it and some people don’t like it at all. The book starts out slowly, but once I got to about page 40, I couldn’t put it down. It delves into some deeper issues of how past hurts and rejection can wound people so deeply that they hide their real self for fear of further pain and rejection. It’s a beautiful story of healing and redemption and of how to love and reach out to hurting people. Ever read a book that you just don’t want to end and when you finish it, you want to meet the characters in real-life? That was this book for me. This was one of the most heart-breaking, compelling, and thought-provoking books I’ve read in a long time. I thought it was very well-written and found it hard to put down. In fact, I read the entire book in one day! Caveat: This book is not written from a Christian perspective, has quite a bit of language, and the plot line deals with suicide in a very raw form. I didn’t agree with the outcome of the book, but it made me dig deep and think hard… and books that do that are ones I feel are very worth my time. I really enjoyed this book and it has stayed with me for months after reading it. While it wasn’t written from a Christian perspective and had some swear words in it, the book was well-written and really caused me to step back and examine my own marriage and relationships to see if I’m making small choices that would, over time, have devastating consequences. If you like Christian fiction that tackles real-life brokenness and doesn’t have Hallmark endings, I’d highly recommend this book. I loved the character development and it reminded me that everyone has hard burdens they are carrying, and that hurting people need our love not our judgment, ostracizing, or criticism. I’d had this book on our shelf for a long time, but honestly, the cover just looked boring so I didn’t pick it up to start reading to the kids. I’m glad it was assigned reading in our Sonlight homeschool curriculum, or we would have missed out on this gem of a book. This book was a winner of the 1944 Newberry Medal and is a fascinating novel that chronicles the defining events leading up to the American Revolutionary War. The author does such a great job of weaving together historical events and fictionalized characters in a way that had us all wanting to read just one more chapter! Kaitlynn and I read as part of her Sonlight curriculum in homeschool and really enjoyed it! It was one of our very favorites this year — especially if you love Ancient Egyptian history. It was a Newberry Honor Award winner and I’m not surprised. The storyline is compelling and interesting and it brings Ancient Egyptian history to life. Plus, it’s a story of endurance and resilience in the face of many odds. It was one of those read alouds that we just didn’t want to stop reading and both of us looked forward to each day to see what was going to happen. And we were kind of sad when the book was finished! We really enjoyed reading this book together as a family. It’s the true story of a young Jewish girl who was hidden in a room for two years to protect her from being captured or killed by the Germans. While the writing in the book could have been tightened up a bit, we all found the story fascinating and such a good reminder of the gift we have of freedom to be able to go outside and live our normal lives without fear. Note: It totally caught me off guard that this book had language in it that I never would have expected for a kid’s book and I’ve had to edit out a few words here and there. Just keep this in mind if you’re planning to read this to your kids or let them read it. This book is such a worthwhile read! I read it in two days and can’t recommend it highly enough — especially if you have kids around ages 9-12 like mine are. I think it’s a book that can really impact your thinking on what compassion and empathy look like and the importance of being a true friend. My girls read it and we had some great discussions about the book. We also went to the movie and I wrote a really honest review of my thoughts on the movie and why I felt like it missed the mark. Want accountability and encouragement to read more this summer? Download our to help you keep track of all the books on your summer reading list! I was inspired by Angie from for today’s project! And I’m so glad we tried this because it was a huge hit — especially with Kathrynne. All you need is a bag of mini marshmallows and some toothpicks. You might have both on hand, or you could pick them up at the Dollar Store or Walmart very inexpensively. Show your children how to connect the toothpicks and marshmallows together to make structures and then let them be creative and see what they come up with! I gave each of the children their own bowls of marshmallows to make it easier (and to prevent any possible arguments over who gets the marshmallow bag!). And don’t forget to have a snack of marshmallows at the end! Kathrynne was feeling better today and we were able to try the . I didn’t think to look up multiple recipes for Bubble Painting on the internet, but I just went off of . Afterward, I did look up recipes online and realized that this probably would have worked better instead of food coloring. Silas didn’t enjoy painting as much as the girls and quickly resorted to building with Legos instead. If you live near an Apple Store, you definitely will want to check into this! 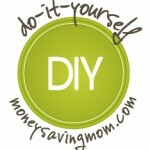 We kicked off our 4 Weeks of Frugal Family Fun series by making . In case you’re scratching your head wondering what I’m talking about, “Flubber” originated from Disney’s 1961 film (I’m not sure that I’ve even seen the movie, but I’m familiar with the storyline! ).